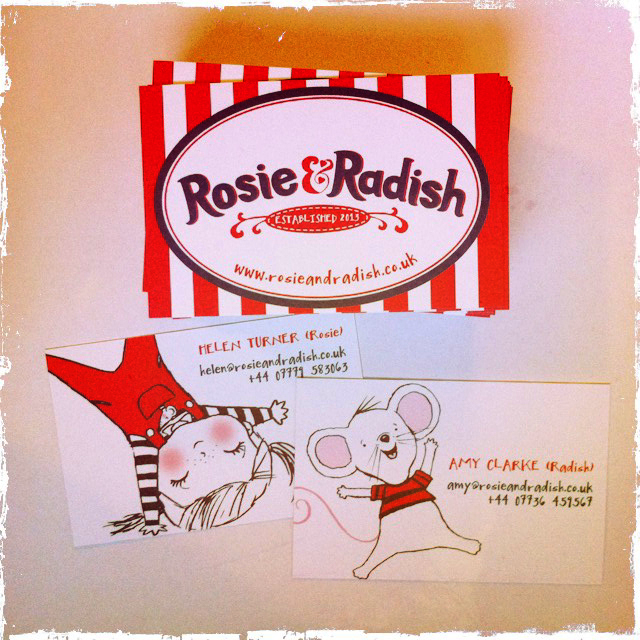 Rosie and Radish: We really do mean business! We really do mean business! Rosie and radish HQ received their first print order through the post today. Yes, thats right folks ... we really do mean business! 'So you have business cards, but where are all your products' I hear you cry! Well fear not. Tomorrow we will be donning our art direction hats and spending the day photographing our very first Rosie and Radish range ... we have cards, prints and props galore! Watch this space for a bit of behind the scenes action. We can't wait to get started!